The all-in-one ecoLinx smart energy management system brings together home automation, residential solar, and energy storage in an energy ecosystem that enables controllers to manage and optimise energy usage, secure smart homes against grid outages and help stabilise the existing power grid. 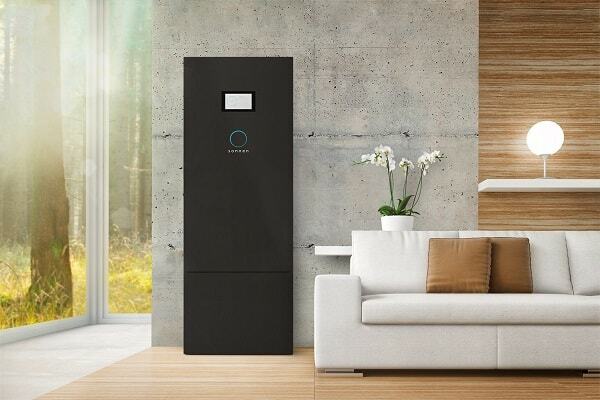 sonnen’s ecoLinx energy storage system proficiently demonstrates the use of smart, configurable backup power and intelligent home automation demand control – facilitated by energy storage and solar. Smart configurable backup power involves an energy storage system working with intelligent circuit breakers to provide multiple backup power options in the event of an outage, eliminating the protected loads panel. ecoLinx includes smart, dynamic weather forecasting to alert homeowners before a potential power outage occurs to prompt them to create a backup plan. For example, a home’s Control4 system might assess an extreme weather forecast for the next few days and request that the home cease daily cycling of its battery into the home’s loads and instead, raise the backup power reservation on the sonnen ecoLinx to 100%, in preparation for a potential power outage. By incorporating actionable data from smart devices like Eaton’s intelligent circuit breakers, sonnen’s new energy automation software knows how much power each circuit requires to run devices and how much energy per hour each circuit will consume. The system also knows how much solar production is being generated and managed by the sonnen ecoLinx and how much stored energy remains in the battery. With this information, sonnen’s energy automation software applications are able to present homeowners with several backup plans to prioritise energy flow to devices based on need, ultimately securing homeowners against power outages and natural disasters. Intelligent demand control and load shaping that automatically manages and maximises the use of clean, stored energy to avoid peak utility rates and power the home in the cleanest and most efficient way possible without disrupting the homeowner. By integrating with smart devices within the home, such as Crestron thermostats and Lutron lighting systems, ecoLinx is capable of taking advantage of inexpensive and low carbon footprint off-peak hours to power devices as well as storing self-produced energy to be used during dirty and expensive peak periods, such as morning and evening hours. Throughout the day, ecoLinx ensures that a home’s solar production is either self-consumed by the greater AC load or it charges the battery as a solar time shift for use later. As an example, California homeowners who drive an electric vehicle (EV) are able to enrol in PG&E’s EV time-of-use rate, including a significant swing from off-peak to peak power prices. The ecoLinx software is able to charge from the grid from 1am – 4am along with the EV, paying low off-peak rates for power that is abundant and considerably cleaner than during peak periods. Another load shift occurs when a Crestron thermostat automatically pre-cools the home during the relatively inexpensive and low carbon footprint, partial peak hours of 12pm-3pm, instead of trying to cool the home during peak times. Finally, during the high carbon footprint, expensive peak period of 5pm-9pm when the grid is stressed, smart devices in the home are activated to minimize energy usage while maintaining homeowner comfort – the Crestron thermostat bumps up a few degrees in the pre-cooled home while Lutron lighting dims slightly and Lutron shades lower to prevent the need for increased energy to power AC loads. Most importantly, the sonnen ecoLinx discharges its stored off-peak power and locally-generated stored sunlight, to meet the majority of the home’s load during this expensive, dirty peak time, rendering the home invisible to the grid, while saving money. “I am so proud that sonnen is transforming the vision of energy automation into a reality,” says sonnen’s senior vice president and head of the U.S subsidiary Blake Richetta. “Our industry designs and installs true marvels of electronic integration for our residential clients,” says cyberManor founder and former CEDIA board member Gordon van Zuiden.